The present-day’s automotive ecosystem is stricken with an impeccable storm of three key factors – competition, technological advancements, and connected customers. These three factors are catering to new opportunities for customer engagement, innovation, and business transformation. In order to implement these factors, automotive dealers will need to take into account new business models and update the existing distribution channel. As per changing trends, we foresee a confident shift towards the omnichannel business model. The future of the car dealerships will depend on the model where customers will experience impeccably integrated shopping, buying and owning processes regardless of the channel in which they choose to communicate. The automotive retail model has been fairly stable over the past century: vehicles are wholesaled by Original Equipment Manufacturer (OEMs) to dealerships. The transaction from OEM to dealerships is financed by attentive finance organizations aligned to the OEM before the vehicle is delivered via third-party logistics companies to the dealerships. The dealership then sells the vehicle to the customer that likewise finances through the finance companies or through a bank. This model has endured even as the rise of e-commerce has brought remarkable changes to most brick-and-mortar retailers. Regardless of the burst in the online activities, the predicted end of the brick-and-mortar store still hasn’t arrived. Successful automotive retailers have identified the value of a truly omnichannel experience joining together the best of both the physical and the digital worlds and making the transition between the two worlds seamless. 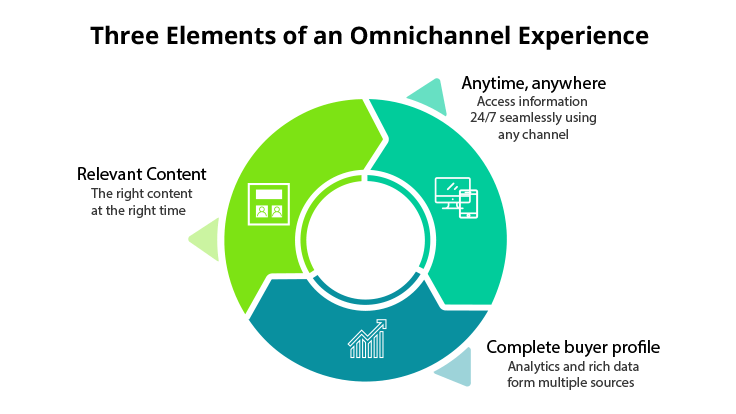 The necessity for omnichannel strategy in automotive dealerships is the expected result of the longing to move to a more customer-centric retail model. Connected customers: Today’s customers are increasingly and constantly connected and keep almost every information at their fingertips. In turn, this is causing them to be more focused shoppers who are no longer browsing the dealer’s lots expecting to find their match. New retail concepts: Innovative models like direct-to-customer models, home deliveries and brand boutiques generate new expectations for consumers. Today, automotive retailers need to brace up for these changing expectations as customers find value in these new retail concepts. Digital technologies: The intensification of big data, cloud computing and innovations in core digital technologies need to be used, which allows businesses to more agilely address customer requirements. 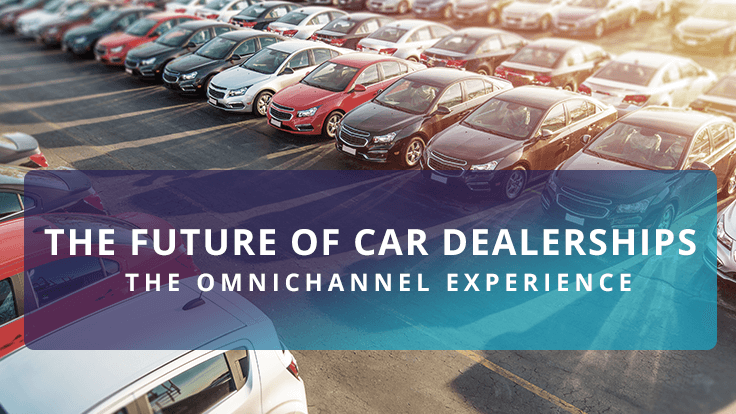 Customers who are accustomed to omnichannel experiences in other industry domains are now expecting the same experiences while buying their next car. In the recent past, the percentage of customers swayed by digital and mobile when making automotive purchases has increased from 40% to 55%. Today, shoppers spend up to 75% of their shopping time online and rely greatly on digital tools. Also, third-party service providers have started to fill gaps in various digital services that the prevailing ecosystem doesn’t cater. While taking into the account that the digital ecosystem forms a crucial source of information and purchase influencer, several automotive retailers are identifying the necessity to embrace new practices. For now, in automotive retail, offline will stay to be an essential component of the customer journey. Offline activities like test drives and servicing play an important role as two out of three customers say that they influence their buying decisions. Even if kicking tires may well have been replaced by clicking tires, it is crucial to note that in the retail environment, customers making use of a digital device in-store are more likely to make a purchase. 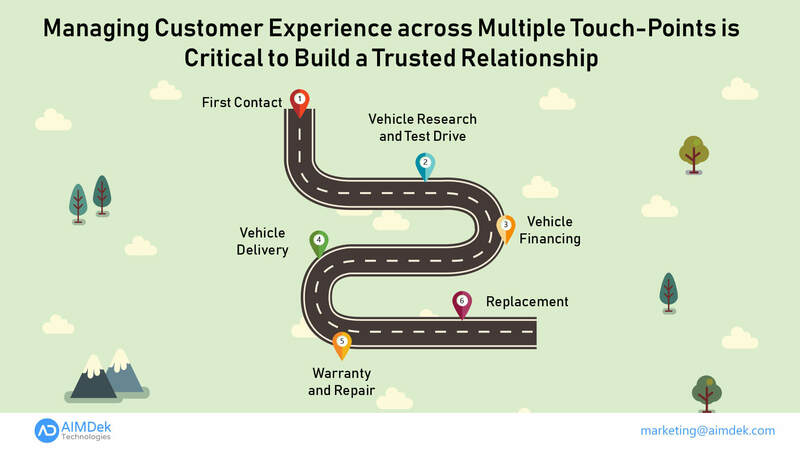 Automotive retailers must consider offering the experience customers want. Customers increasingly ask for experiences that are personalized, frictionless, immersive and easy-to-understand for shopping, servicing and purchasing. While researching for the vehicle they wish to buy, customers want to make sense of all the available options like new versus used vehicles, incentives, and rebates, financing offers and car sharing. Customers today largely are dependent on third-party websites for such information, but now automotive retailers must become an integral part of research phase or they may risk losing their customers. Researching, learning, and shopping must become completely virtual for the customers. The inescapable impact of digital on customers is now welcoming the industry to admit that the hours-long process of car buying and paperwork is totally obsolete and must be abandoned. A completely streamlined digital experience, accomplished in less than an hour from the beginning is what customers want today- and what they experience in many other aspects of their digital lives. Automotive retailers must innovate the ownership experience, including after-sales service and in-vehicle experiences and offer relevant value propositions not available elsewhere but only in your digital property. Both, OEMs and automotive retailers play a crucial role in creating this experience. However, the collaborative relationship between them is of the utmost importance for catering an exceptional digital experience. 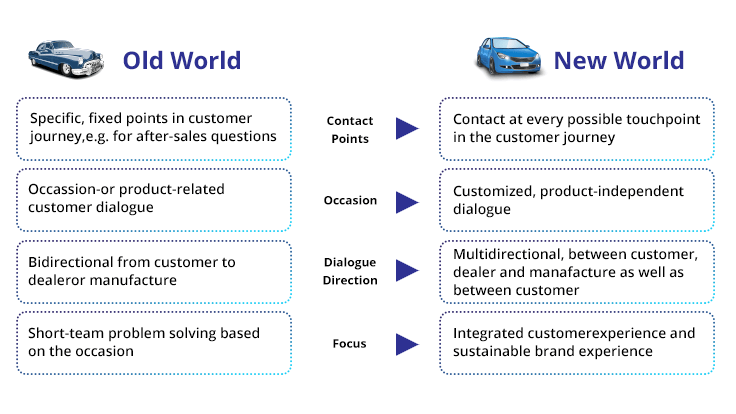 The future of car dealerships is shifting from a product-driven model to a model driven by customer experience, loyalty, mobility services offered by the brand aligned appropriately with evolving customer expectations about the car dealership experience. 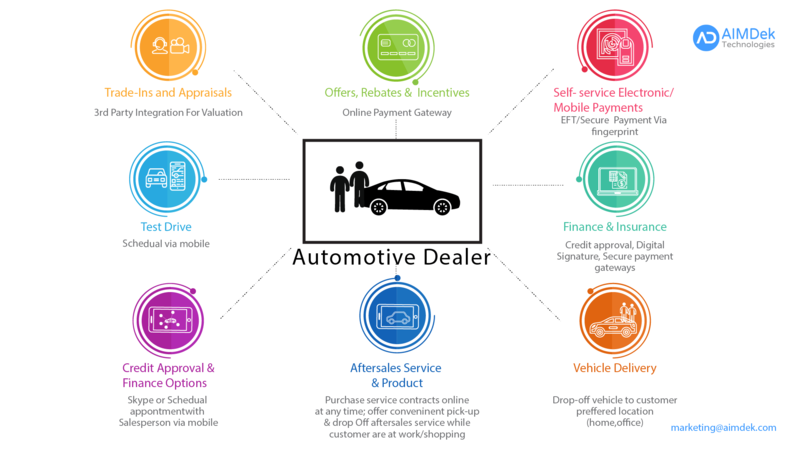 OEMs and automotive retailers must consider disrupting the present automotive retailer network into a lucrative modern sales and marketing channels that amalgamate the vast arrays of opportunities in emerging technologies with an updated vision of traditional retail supporting clicks, bricks, and handshakes to meet customer expectations.